Many prescription drugs require the use of a medical device (pre-filled injectable syringes, inhalers, transdermal patches, oral liquid syringes etc) in order to administer the proper dose. The Consumer Health Information Corporation team has developed state-of-the-art User Manuals for both medications as well as medical devices. Patient information instructions for such devices must be completely understandable and patient-friendly. 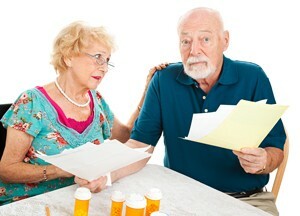 Patients must know exactly how to administer the medication, use the medical device and store the medication. Written in language that patients can understand. All of our User Manual content is repeatedly put through stringent readability testing to ensure that it is at the Grade 6 – 8 readability level. Written in a logical order of use that patients to understand. Complicated administration and usage steps for the medical device are written so they are simplified and easy to understand. This not only helps patients administer the medication correctly but also increases patient adherence. The graphic design and layout right down to the folding of the pages so the information is presented in easy-to-understand sections is integrated carefully with the patient information content. This makes it easier for patients to understand and remember the instructions. When patient recall is increased, patient adherence is increased. Our team works closely with Production and Printing during the final stages to determine the folding so that the patient would not be confused by the manner in which the content was presented because of the folding. We have designed major patient starter kits containing user manuals. For more information about medication devices, click here.